Container Loads	: SETS/20", 6SETS/40"
Folding Size: 150 x 150 (Fold) band sow cutting into two lane on delivery deck. 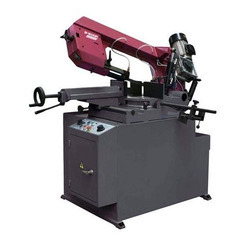 Our organization is involved in manufacturing and supplying a wide range of metal cutting horizontal bandsaw machine. These are tested under strict quality control measures to give trouble-free services for long period. Offering horizontal bandsaw, column bandsaw & miter cutting bandsaw: we are offering our clients a wide range of fully automatic band saw machine 150 to 1500 mm cutting solution. - Column of EN -9 materials with Bellows protection. - Hydraulic power pack with Direction control Valves of Yuken make. 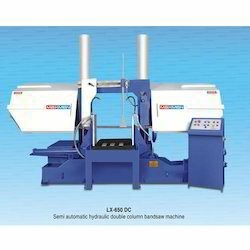 Our company has acquired the most prominent positions in the industry for manufacturing and supplying an extensive range of Semi Automatic Band Saw Machine. At our production unit, our offered machine is manufactured using high grade components and pioneered technology under the supervision of an experienced team of engineers.